It's been about a year since my last restaurant review. Does that mean the Bowie Restaurant Project is dead? Possibly! For various reasons, I've more or less stopped going out to eat, so I'm not sure I'll be covering Bowie's newest restaurants, or returning to the two older ones I hadn't reviewed. If I were quicker on the draw, I would have changed my criteria and reviewed those two and declared the project complete. But a bunch of new ones have opened that I may never get around to. Bowie has a Chick-Fil-A now. No, not that one. That's barely outside city limits. No, not that one. That's way outside city limits. In the rebuilt Marketplace, there's a Chick-Fil-A, and on a day when I had less stopped eating out than usual, I stopped by. 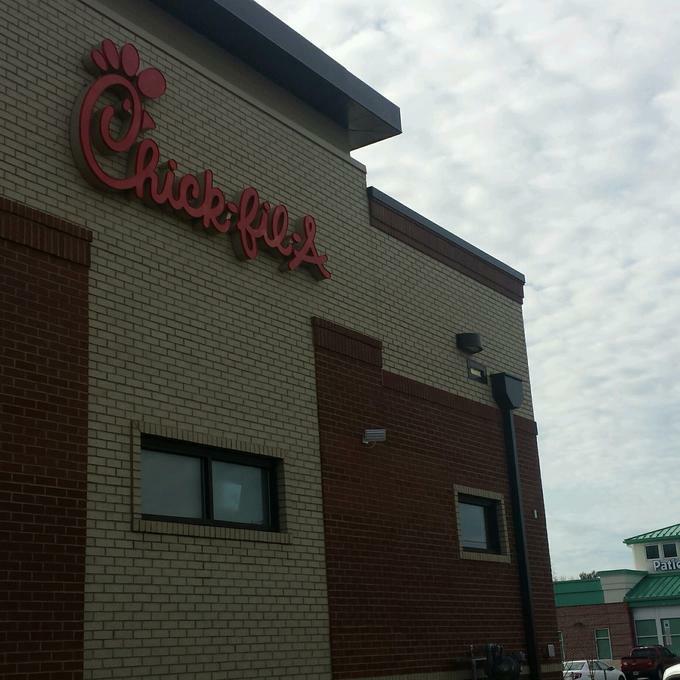 My kids won't eat at Chick-Fil-A because they got sick once after eating there. So I was by myself. I had a perfectly reasonable drive-through experience. I don't really love fried chicken sandwiches, so I got the grilled chicken. The fries were pretty good. By the time I picked the kids up from school, my stomach was doing flip-flops. To be clear, I don't blame Chick-Fil-A; some people don't react well to certain locations. But given my reaction, and the fact that I don't like fried chicken sandwiches, I'll have to stick to 2 stars for this location.